The Jayhawks head south to take on the Bears, who despite being one of the Big 12’s worst teams this year, possess a tricky threat. Kansas locked down defensively against TCU in the second half. They’ll need to bring that intensity on Saturday afternoon in Waco. About Baylor: The Bears have crawled out of the Big 12 celler and are now up to 7th place in the league. Their 14-10 record does accurately reflect with how Baylor has played. A number of their Big 12 games have been decided by 5-10 points and have even gone into overtime. Just last week they took Oklahoma to wire, losing by two in Norman. There is no easy win in this league and Baylor is no exception. One thing Kansas does have going for them is that they have Bill Self manning their sideline and not Scott Drew. Kansas leads the all-time series, 30-4. They currently are riding an 11-game winning streak against Baylor. Through 11 games into the Big 12 season, Kansas and Texas Tech are atop the conference standings at 8-3. West Virginia is a game back at 7-4, while Kansas State and Oklahoma are at 6-5. At 19-5 (8-3), Kansas is vying to win its 20th game for the 29th-consecutive season, beginning in 1989-90. 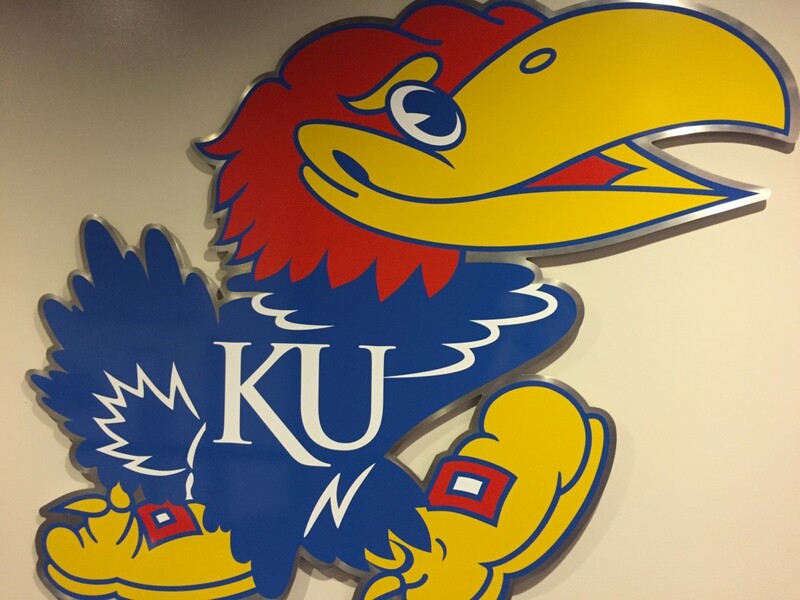 KU’s current 28-straight 20-win seasons is the longest-active streak in the NCAA. Nine of Kansas’ 11 conference games this season have been decided by seven points or less with the Jayhawks going 7-2 in those battles. Stretching back to last season, Kansas has played 20 Big 12 games that were decided by seven points or less. Kansas is 17-3 in those outcomes. Kansas has won 16 straight basketball games in the state of Texas, all of which have been against Texas, Texas Tech, TCU, and Baylor. They have not lost a game in the state of Texas since February 1st, 2014. Senior G Devonte’ Graham is the only player in NCAA Division I averaging 17.0-plus points, 7.0-plus assists, 1.8-plus steals and fewer than 3.0 turnovers per game. Graham is fifth nationally in assists per game at 7.4 and he leads the Big 12 in assist-to-turnover ratio at 2.7. Sophomore C Udoka Azubuike leads the NCAA in field goal percentage at 75.4 percent. He is the only player to have a 70 percent or better field goal percentage with a minimum of five made shots per game. Senior G Sviatoslav Mykhailiuk is shooting 46.3 percent from 3-point range and is making 3.4 3-pointers per game. Both figures rank second in the Big 12 and his 3-point field goal percentage is 13th in the NCAA (among those who average 2.5 or more makes per game) while his 3-pointers made are 14th. Lecomte has been on a bit of hot streak over his last three games, as he’s averaging 20.3 PPG and 4.3 APG in that span. 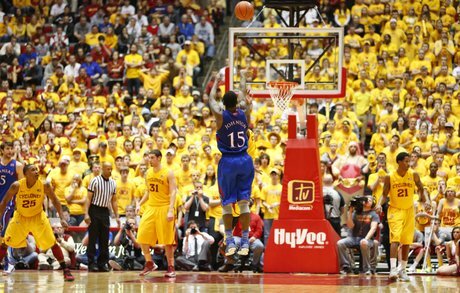 In the previous matchup with the Jayhawks, he was held to only 10 points on 3-12 from the field and 1-8 from three. It’d be hard to imagine he’d have another poor shooting performance like that this time out. Lual-Acuil will settle for jump shots, and thats exactly what Kansas needs him to do. He did it multiple times in the initial matchup, as she was 6-14 from the field for just 14 points. 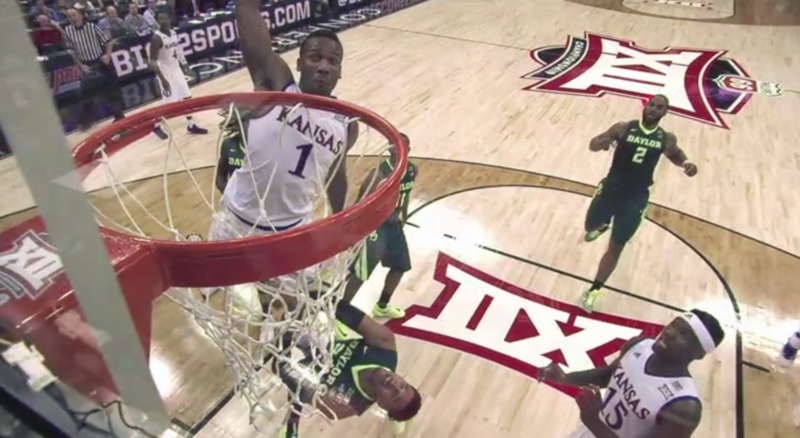 With the physicality of Azubuike, I like KU’s chance to hold him in check once again. Omot scored 14 points off the bench in the first matchup with KU, and since then he had a 23 point performance in a narrow loss to Oklahoma. He’s even had a 30 point game this season, but he seems to be boom or bust. He’s going to go off and kill you, or have a very quiet game. On paper, Kansas is the better team. Outside of Lecomte and Lual-Acuil, there doesn’t seem to be a consistent threat there for Baylor. That being said, almost every single Big 12 game has been a nail-biter to some extent. I expect a bounceback performance from the x-factor, Sviatoslav Mykhailiuk. He was held to just ONE point a just TWO shots (!) in Kansas’ win over TCU. Kansas plays better when Mykhailiuk is on his game. They need an aggressive Svi, who is most aggressive when he is knocking down shots. Lagareld Vick seemed to respond well to his benching. He seemed much more aggressive in the second half against TCU, driving the ball and making smart cuts. There were still some times when he was tentative, so he still has some things to improve on in this one. I’ll go with Kansas here, but it’s not going to be easy. Jayhawk fans might have to sweat this one out.